Thousands of country music fans descended upon Tamworth for the opening weekend of the 2019 Toyota Country Music Festival, Tamworth. The weather scorching hot, the crowd even hotter! 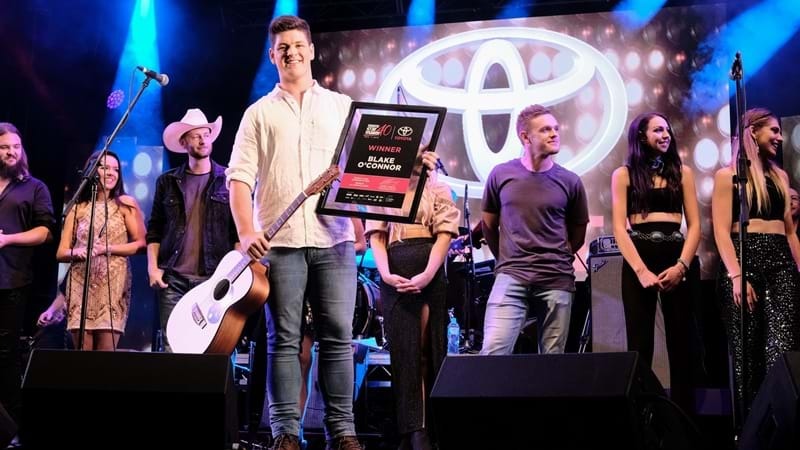 The 2019 Toyota Country Music Festival, Tamworth kicked off with crowds building to 10,000 people in Toyota Park on the first night and 8,000 people on Sunday night to enjoy the incredible line-up of free concerts over the opening weekend. Friday night’s 'Opening Concert' saw Toyota Park near capacity, with performances by special guest Adam Harvey, Jasmine Rae, Jayne Denham, Brad Cox, Hurricane Fall just to name a few. On Saturday, families enjoyed the Tamworth Family Support Services Family Concert while Sunday night Toyota Park hosted the 2019 Toyota Star Maker Grand Final concert, a particularly special occasion as Star Maker celebrates its 40th anniversary in 2019. Port Macquarie’s Blake O’Connor was crowned the winner. Held over ten days from 18 until 27 January 2019, the Toyota Country Music Festival, Tamworth is a Festival experience like no other with more than 300,000 visitors expected, 700 artists performing at over 2,800 events across 120 venues. For all ticketing and festival details head  here. Tamworth is the place to be!